Those devices or components which required external source to their operation is called Active Components. Explanation and Example: As we know that Diode is an Active Components. So it is required an External Source to its operation. 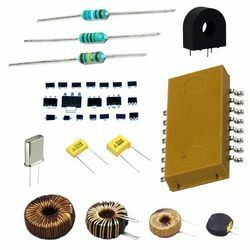 Those devices or components which do not required external source to their operation is called Passive Components. Explanation and Example: Passive Components do not require external source to their operation. Also Passive Components are in linear and Active Components are in non linear category.